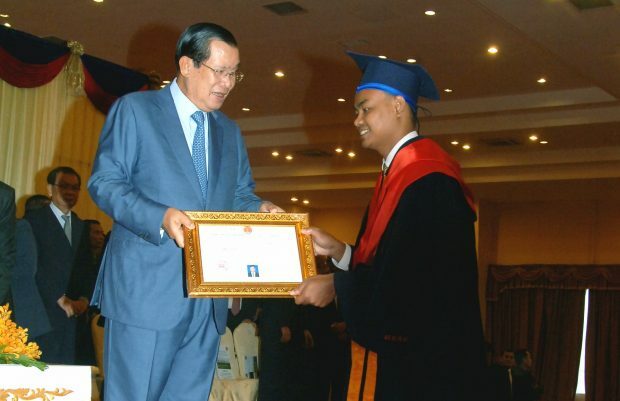 Congratulations to Kia Hem, Project Manager for Counselling with Hagar Cambodia, who graduated with Honours with a Masters for Clinical and Counselling Psychology late last year. Kia says his studies have helped him to improve his clinical skills, build his capacity in developing quality treatment plans and advocate more effectively for Hagar clients. We are extremely honoured at Hagar to have such dedicated staff providing quality care for women and children who have experienced significant trauma in their lives and are grateful for the many staff worldwide that continue to strive for excellence for the sake of those we serve.